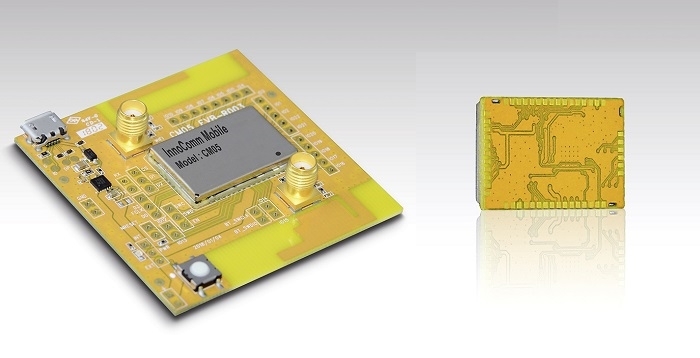 InnoComm Mobile Technology, a Taiwan-based wireless solutions company, has used Nordic’s nRF52832 Bluetooth Low Energy SoC for its CM05 BLE-Wi-Fi Module. The CM05 is a compact module that combines Nordic’s Bluetooth LE solution with Wi-Fi and is designed to ease the development of an Internet of Things (IoT) gateway. By combining these wireless technologies into a single device, the developer can eliminate the cost and complexity of working with separate Bluetooth LE and Wi-Fi modules. The CM05-powered IoT gateway enables Bluetooth LE-equipped wireless products to connect to the Internet (via the Wi-Fi technology’s TCP/IP functionality), a key advantage for smart-home and -industry applications. The compact module enables developers to reduce gateway size, decrease production costs, and speed time to market. The Nordic SoC’s powerful 64 MHz, 32-bit Arm Cortex M4F processor provides ample processing power to both the Nordic’s S132 SoftDevice (a Bluetooth 5-certifed RF software protocol (“stack”)) and the Wi-Fi TCP/IP stack, eliminating the cost, space requirements, and power demands of an additional processor. In addition, the Nordic SoC’s unique software architecture, which cleanly separates the SoftDevice from the developer’s application code, eases the development process, and, when the gateway is deployed in the field, enables rapid, and trouble-free Over-the-Air Device Firmware Updates (OTA-DFU). Nordic’s nRF52832 Bluetooth LE SoC supports Bluetooth 5, ANT and proprietary 2.4 GHz RF protocol software and delivers up to 60 per cent more generic processing power, offering 10 times the Floating Point performance and twice the DSP performance compared to competing solutions. The SoC is supplied with the S132 SoftDevice for advanced Bluetooth LE applications. It features Central, Peripheral, Broadcaster and Observer Bluetooth LE roles, supports up to twenty connections, and enables concurrent role operation.